Veruca Salt would LOVE this. Kiruna, the northernmost town in Sweden, wants to treat you to a fantasy you didn’t even know you had. 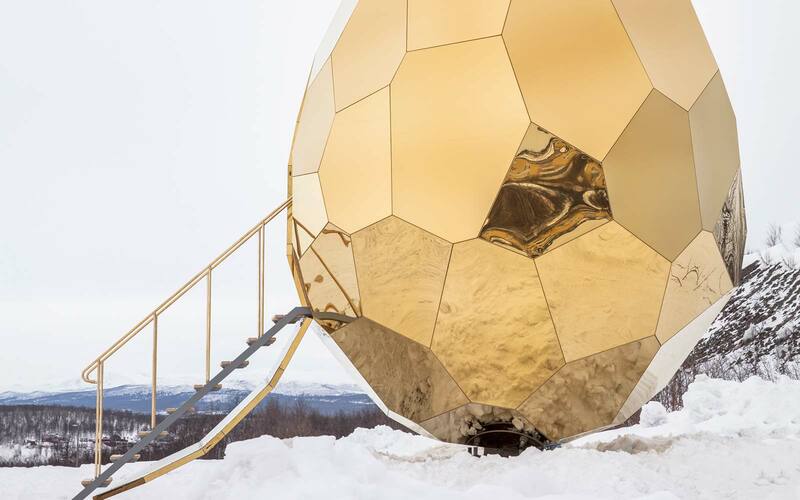 In May, after the entire town was notified that the city center would need to be relocated two miles east — due to the town’s crumbling foundation — a Swedish developer offered a gift to ease the transition: a golden, solar-powered, egg-shaped sauna for all to enjoy. 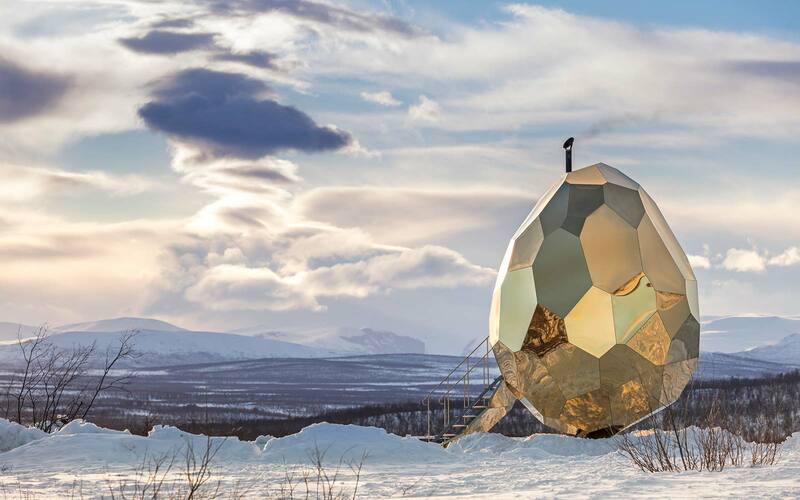 “The egg shape seeks to symbolize rebirth and new opportunities at the start of Kiruna’s urban transformation, a project that involves the relocation of entire city districts in response to ground subsidence caused by decades of iron ore mining,” according to statement from Off the Map, a travel company that is offering travelers the option to add on a trip to the egg on Arctic itineraries. 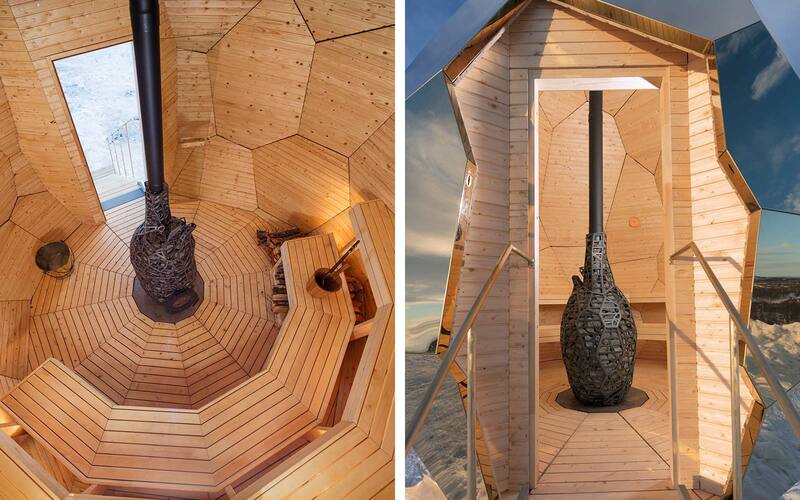 The sauna itself can accommodate up to eight people at once, according to Off the Map, and is heated via a heart-shaped wood stove sitting at its center, which helps the sauna reach temperatures around 167° F to 185° F. The exterior of the egg includes several solar panels to keep the lights on inside the egg. Off the Map notes the egg will be going on a tour of sorts, first stopping in at Riksbyggen in Kiruna, then will be temporarily placed in different stunning Arctic environments so visitors can experience something totally unique. 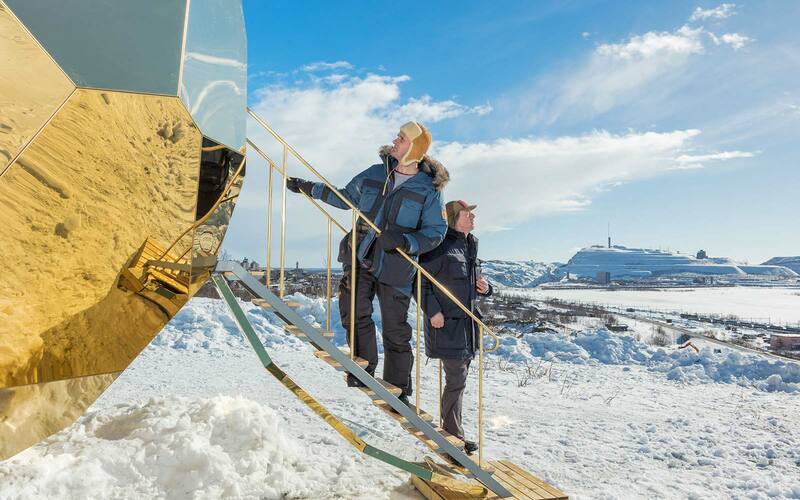 If you want to see it, start planning your visit to Kiruna now, as the egg will only be available through September, 2017. After visiting the egg, spend the night and take in the breathtaking views of the Northern Lights as they dance across the night sky. Make it even more adventurous by staying at the Ice Hotel, which will now remain open year-round.